I got a new camera this week and went out yesterday for a shoot to try it out. It wasn’t the best light or the most interesting subject matter, but I tried anyway. Well, it turns out that the dial is not on correctly so none of the settings correspond to what is pictured on the dial. I didn’t realize this until I had already taken a number of photos on “color sketch” setting when I thought I had it on shutter-priority. Whoops. Yet somehow I really like how some of them came out. Here’s a sample. Waiting for a bus in South Philly at Christmastime in 2013, I took this shot down 16th street. 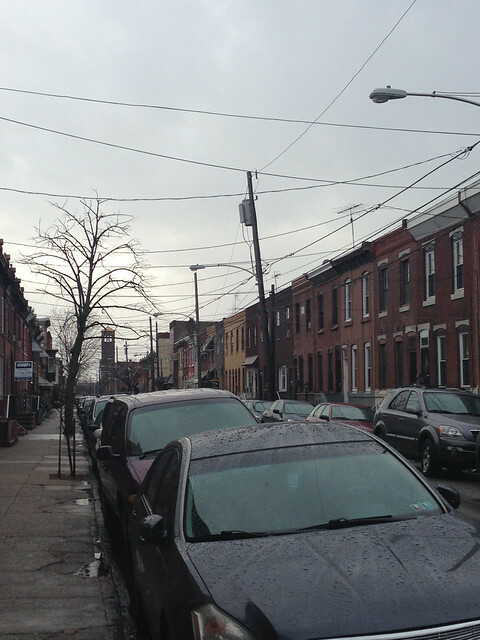 This was taken in South Philadelphia with my humble phone shortly after moving here in the fall of 2013. 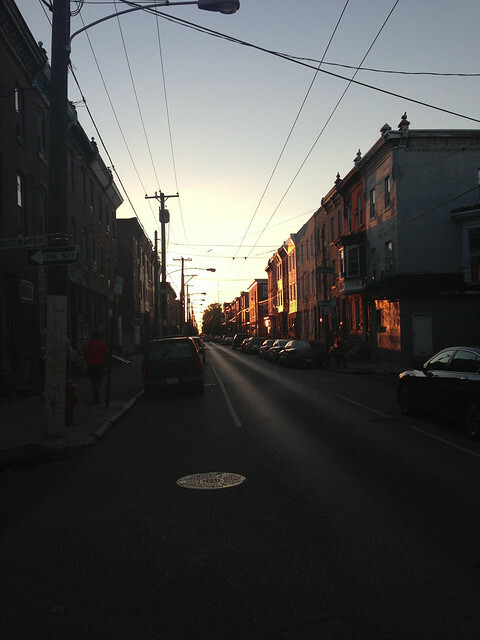 I caught the sunset as I walked west down Tasker Street away from the Broad Street Line. I hope to move to this neighborhood soon. Proudly powered by WordPress Theme: ChaosTheory by Automattic.